You can easily see the Pantry Moths. When you open the kitchen cupboard, an elongated brown-gray butterfly flies from there. Either pour cereal into the pot and notice that the product contains small larvae. Pantry Moths are one of the most common insects found in our homes, and at the same time one of the most difficult to eradicate. What to do to get rid of the moles from the kitchen? 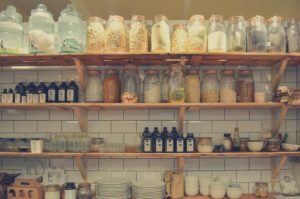 How to secure shelves, drawers and kitchen cabinets before they appear again? Get to know homemade ways! 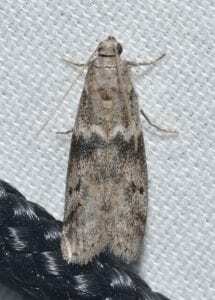 Pantry Moths (indian meal moth) are small night butterflies whose larvae feed on dry foods such as sugar, cereal, flour and grains. They are embedded in our kitchens and pollute food products. We often get rid of them by investing in commonly available finished products against moths, but it is worth remembering that most of them contain chemicals that are harmful to our health. A much safer (and cheaper!) solution are homemade Pantry Moths. Where do the food moths come from in the kitchen? Very often, we bring food moths with products bought in the store. In addition, they can get to us from the neighbor’s apartment. Because female moths lay 100 to 400 eggs (of which the larvae hatch), unpleasant insects reproduce very quickly. It is worth remembering that eggs are not only packed in food, but also on packaging. Pantry Moths larvae are able to even bite the film and get through the small hole. The signs that Pantry Moths have been stuck in food are also threads and wraps – visible between loose products. We always start fighting with Pantry Moths from thorough cleaning in drawers and kitchen cabinets. First of all, we throw away all food products from the house, in which we find complex moth larvae. We thoroughly inspect each container and packaging with dry food, even those with so little suspicious products as animal feed. The next step is to vacuum all cabinets and drawers and wash them with warm water and soap (preferably lavender). To make sure that there are no larvae in any corner, we use the vinegar method known for years. Put a container with hot, steaming solution of water and vinegar into the cabinets, close them and wait until the liquid cools down. This treatment can be repeated several times. For washed kitchen drawers and cabinets, put the repellent moth plants – dried lavender, cloves, anise, vanilla, mint, bay leaves – poured into thin bags. In addition to protection against moths, they will also function as fragrance sachets. Instead of herbs, you can also use dried slices of lemon or orange, or swabs soaked in vinegar and vanilla, lavender or eucalyptus oil. To avoid the return of moles, dry, loose products (purchased again!) Are best stored in sealed plastic or glass containers for food. Each open and unsealed packet of groats, sugar or flour is a tasty morsel for moles!